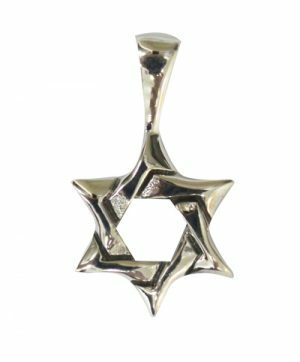 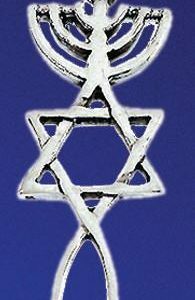 This Temple Menorah Pendant is a replica of a seventh-century artifact from Jerusalem, bearing imagery of the Menorah, Shofar, and Torah. 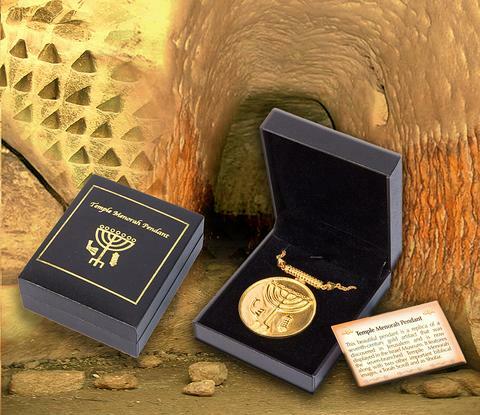 Comes with a card that explains the historical origin of the pendant. 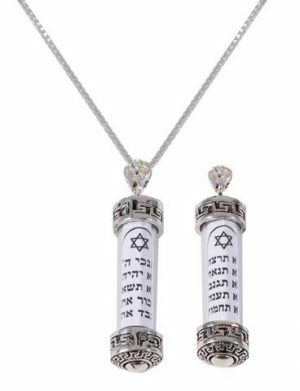 Comes in a beautiful gift box lined with velvet.